Our anti-tamper fencing clips are essential when joining temporary fencing panels together securely. 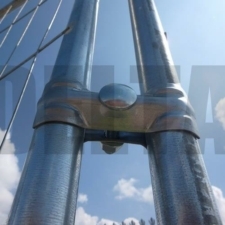 They are fully compatible with Heras panels and other makes of temporary fencing. 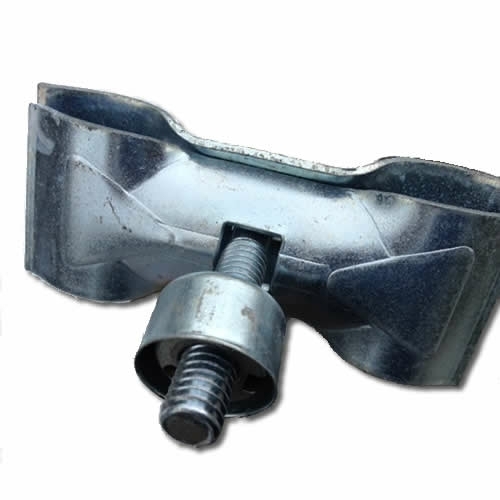 Fencing clips are very easy to use; the two metal pieces fit around the outer bars of the two adjoining panels, you then tighten the bolt to secure them together with an anti-tamper spanner. These clips cannot be tightened or undone with regular spanners, which helps keep your site secure. We also supply anti-tamper spanner heads and regular temporary fencing clips. 2 clips should be used when joining panels together, 1 at the top, and 1 at the bottom, to ensure maximum security. 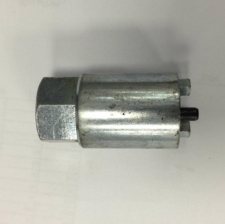 This is not a weight bearing fixing. We also supply temporary fencing blocks/footings. Great product and great value for money. Will definitely be ordering again.